Detailing the physical features, habits, territorial reach and other identifying qualities of the Cuckoo Bee. The Cuckoo Bee, like its avian counterpart the Cuckoo Bird, wins the award for laziest, yet perhaps most clever parenting strategy. The Cuckoo Bee, a type of Sweat bee, gets its name from its parasitic behavior. Female Cuckoo Bees enter another species' nest and change out the eggs of the resident Sweat bees for their own small bee eggs. They cover their tracks as they leave, pushing loose soil back over the nest's opening. Unwitting Sweat bees are easily duped and feed the young interlopers. Cuckoo Bee parents are subsequently released from the responsibility of rearing and providing for their own young. Cuckoo Bee species vary in color. Some are yellow and black, others are red and black. Some have bands of color, others lack them. None of the adults have pollen baskets on their legs since they do not need to collect grains for offspring. They are not completely fuzzy like other bees. Instead, they look more like wasps. Adults are active in spring and summer and can be found in parks, gardens, meadows and other open habitats. 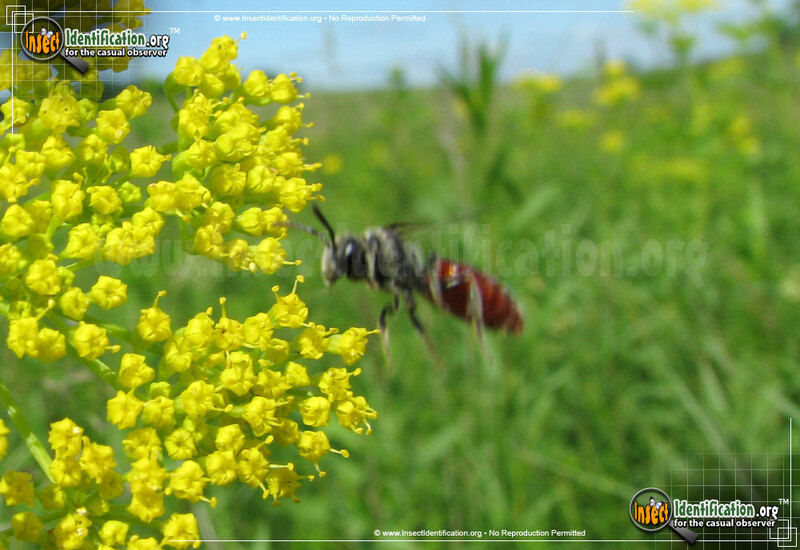 They are known to be good pollinators of flowers, making them a beneficial insect in the garden and on the farm.